Located on the world-renowned platinum coast Mango Bay Hotel Barbados offers 76 well appointed guest rooms all of which have furnished patios or balconies. Set amidst tropical gardens on a spectacular sandy beach just minutes from the nearby shopping at Holetown and the vibrant marine life a few minutes away from the Folkeston marine park. Mango Bay hotel is located forty minutes from the Grantley Adams International Airport... and half hour away from the popular in St. Lawrence Gap with all its nightlife It is also conveniently located 15 minutes from Bridgetown the historic capital of the island which was recently accepted as a world heritage site. 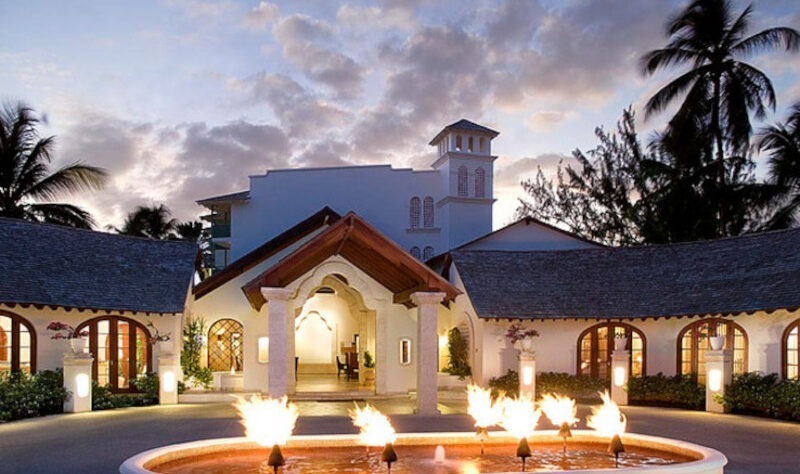 An all-inclusive resort, Mango Bay Hotel Barbados provides guests with three meals daily. These including wine with dinner and all of the water sports activities on property such as kayaking, water skiing, snorkeling and scuba diving in the pool are complimentary. You can read guest reviews about Little Good Harbour hotel in Barbados. The beautifully appointed Oceanfront rooms at Mango Bay Barbados boast furnished balconies or patios... and feature traditional Caribbean décor with muted color schemes. Private balconies have lovely sea views, bathrobes, CD clock radio, television, hair dryer, in-room safe, tea and coffee making facilities and free Wi-Fi service. The maximum occupancy in these rooms are 3 adults or 2 adults and 2 children 12 years and under. Read guest reviews about the three bedroom Oceanfront suite at Little Good Harbour in Barbados. The Superior rooms at Mango Bay Barbados are found in the main building on the 1st, 2nd and 3rd floors overlooking the pool and/or the gardens. The Deluxe room at Mango Bay Barbados are spacious well appointed rooms that offer guest pool and/or panoramic views. Dining at Mango Bay takes place at, Mango Bay’s restaurant located along the beachfront. This restaurant offers guest the choice of either open-air or air-conditioned dining. The dress code at this elegant restaurant varies... during the daytime it is resort casual. with cover-ups required for breakfast and lunch and footwear is required in the restaurant at all times. During the evening the dress code is elegantly casual this requires full length pants and shirts with sleeves for the gentlemen. It does not matter it can either be short sleeves or long sleeves. three-quarter pants , no shorts or cargos, no sneakers, no flip-flops, no caps nor t-shirts are allowed in the restaurant. Weddings packages at Mango Bay Hotel Barbados or affordable and easy. Simply because there is no waiting period or minimum length of stay required.for you to get married. So with assistance from the hotels wedding coordinator the packages are specially designed to meet all your needs. So if you are thinking about sharing your special wedding day or renewing your vows in paradise. Then Mango Bay Barbados is the ideal place for you and your love ones to share your special day. Weddings at Mango Bay take place in idyllic surroundings. You can choose one of the island's quaint little churches... Or opt for a beautifully decorated arch on one of the island's spectacular white sandy beaches. With the turquoise waters of the Caribbean Sea as the backdrop. To book the best rates for your special Mango Bay Hotel Barbados holiday enter your information into the search box below. This special Booking engine will search all of the popular booking sites and bring back the best rates. If on the other hand you would prefer to read what other guest to the popular Mango Bay had to say about their stay. You may Click Here to read their reviews and recommendations on Trip Advisor.